One of these models is the Neato Botvac D4 Connected Robot Vacuum, which is a robo vac for hardwood floors and thin carpets. 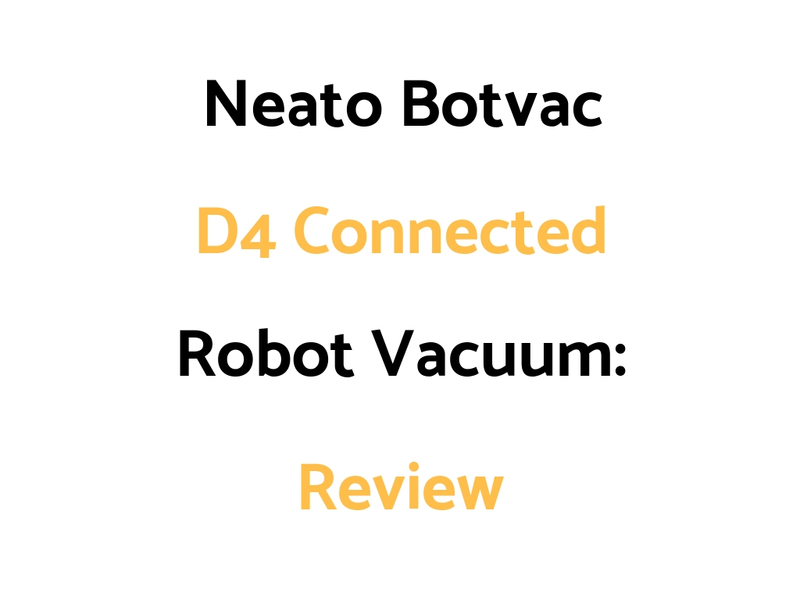 In this Neato Botvac D4 Connected Robot Vacuum Review, we look at the main features and potential drawbacks to this robotic vacuum so you can get a good idea or not whether it’s worth your money. Uses the Neato app on your phone to schedule cleanings daily, every other day, or on a schedule that works for you. You can control this vacuum from your phone, smartwatch, Amazon Echo, and Google Home. Allows you to set up virtual No-Go Lines that tell your robot where not to go, so it avoids things like pet bowls and piles of toys. As far as robotic vacuums go, the D4 is a good model that lacks some of the extra features of the more advanced robo vacs on the market. If you want a light duty vac that has App control from your smartphone, it’s worth you checking it out. Make sure you are aware of the warranty conditions and return policy before you buy to protect your investment. The iRobot Roomba 690, 890, and 960 and 980 models are also worth a look if you want some of the most advanced robotic vacs on the market. Who Might The Neato Botvac D4 Connected Robot Vacuum Be For? Who Might The Neato Botvac D4 Connected Robot Vacuum NOT Be For?